Expedition in Tibet is popular and challenging adventure trip in Tibet. Tibet is called “The Roof of the World” as well, because of its location situated on the highest land of the world. Tibet is a beautiful place where trekkers/mountaineers find unique Himalayan people settled around the snowy mountains surroundings with their own different identity of culture and society. Tibet has many Himalayan peaks having more than 6000m.Above in Tibet side among them the most popular are Mt.Everest 8848m, Mt. Cho Oyu 8201m, Mt. Shishapangma 8035, Mt. Lakapa Ri 7045m and Mt. Gurla mandata 7694m, which are all allowed for foreigners to climb from Tibet side. Since the late 1970s the Chinese and Tibet mountaineering Association have been issuing permits to foreign climbers for Mount Everest and twenty other Himalayan peaks. 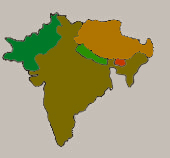 The majority of these mountains are part of the high Himalayas between Everest and Shishapangma, though several other interesting 7000-meter and 6000-meter peaks have been opened on other regions of Tibet. Himalaya Journey Treks & Expedition offer you the journey of a lifetime and the opportunity to experience one of the most incredible cultures and landscapes that this globe has to offer. Our climbing team including climbing guide /Sirdar has vast experienced all having participated in numerous Expeditions in Nepal, Tibet and Pakistan.we have collected many climbing experience in Tibet arranging mentioned above trip making international expeditions for the every mountain. So, if you are interested mountaineering in Tibet with us for Everest expedition , Shishapangma expedition , Cho Oyu expedition for your expedition and for new destination Our climbing team including climbing guide /Sirdar has vast experienced all having participated in numerous Expeditions in Nepal, Tibet and Pakistan. 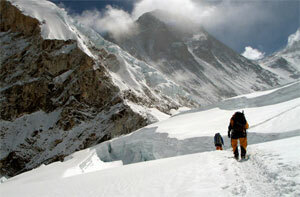 Most of the major expeditions in Tibet has been successful operated by Apex Nepal Adventure several times in Tibet. Since we have done it many times, we have possess excellent knowledge on best way of logistics arrangement, the perfect requirement, to offer best comfort on mountain, safety & success of Himalaya expedition in Tibet.